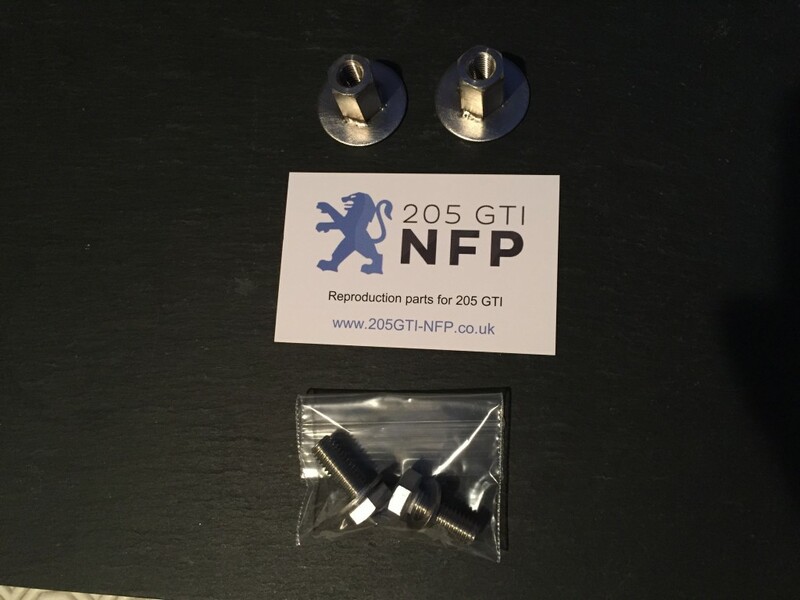 Here are the stainless steel reproduction front bumper fixing spacers to suit Peugeot 205 GTI and CTI. If you are restoring or otherwise removing/refitting your front bumper these fixings are essential. They are now NLA (No Longer Available) via the Peugeot dealer parts network. These are manufactured in house using A2 grade stainless steel. Unlike the standard fixings that are often seized and nothing more than a blob of rust, these fixings should last indefinitely. If you purchase this item you will receive ONLY 1 pair of the fixing spacers, 1 pair of stainless steel hexagon set screws, 1 pair of stainless steel washers. The rubber buffers shown in the picture are for illustration only and are not included! I have sold over a hundred pairs of these spacers to customers around the world, and everyone has been very pleased with them. These are £18 per pair including UK postage.